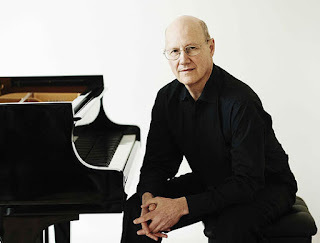 Last year, pianist William Howard's CD Sixteen Love Songs, on Orchid Classics, inspired the launch of an international Love Song Composing Competition in collaboration with Judith Weir, in which entrants wrote their own contemporary response to the love song genre. Howard will be giving people a chance to hear some of the winning entries, chosen from amongst the 500 entries, at a concert at Hoxton Hall on 26 April 2017 when Howard will perform entries from the competition alongside newly commissioned love songs from Richard Reed Parry (of Arcade Fire), Joby Talbot, Robert Saxton, David Knotts, Pavel Zemek Novák. The programme will also include Cheryl Frances-Hoad’s Love Song for Dusty, written for the project last year. A further seven commissions will receive their first performance in concerts in June (works by Judith Weir, Howard Skempton, and Bernard Hughes) and the Cheltenham International Festival on 9 July (works by Nico Muhly, Elena Kats-Chernin, Michael Zev Gordon and Piers Hellawell). Further information about Howard's Love Songs project from his In love with the piano website.